Drinking lime juice helps to meet the body's daily requirement for vitamin C. The USDA reports that a cup of freshly squeezed lime juice contains 72.6 milligrams of Vitamin C. Vitamin C is an essential nutrient that is needed for the growth and repair of tissues, as well as the repair and maintenance of our bones and teeth, according to the University of Maryland Medical Center. It also helps the body to produce collagen, a protein that plays a vital role in the production of blood vessels, skin, tendons, ligaments and cartilage. 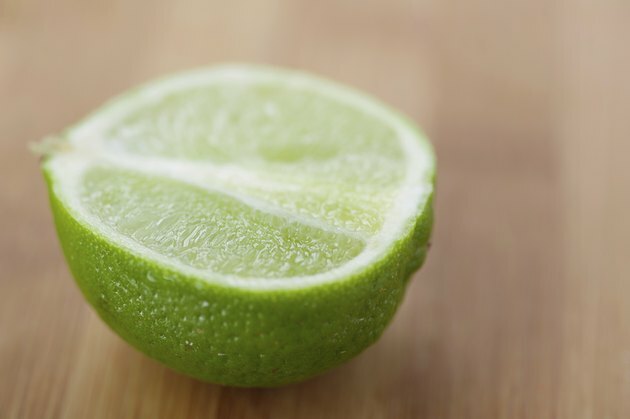 Lime juice has potent anti-carcinogenic properties. J. Robert Hatherill Ph.D., a research scientist, writes that limes and other citrus fruit contain a variety of cancer-fighting compounds called flavonoids. Flavonoids are a family of naturally-occurring compounds found in many fruit and vegetables. In his book "Eat To Beat Cancer," he reports that the biological activity of citrus juice flavonoids have anti-cancer effects that prevent the invasion of cancer cells. These compounds also powerfully inhibit the growth of tumor cells. He notes that the juice has most cancer-fighting clout when it is drunk fresh. Eat To Beat Cancer; J. Robert Hatherill Ph.D.
How Much Lycopene Should I Consume a Day?